Although Kristina was born and raised in Northwest Ohio, she has called Georgetown home for 10 years and is a true town supporter and enthusiast! Kristina has been involved in the community in many ways and is now one of the 10 women entrepreneurs launching the new Lark & Owl Booksellers. 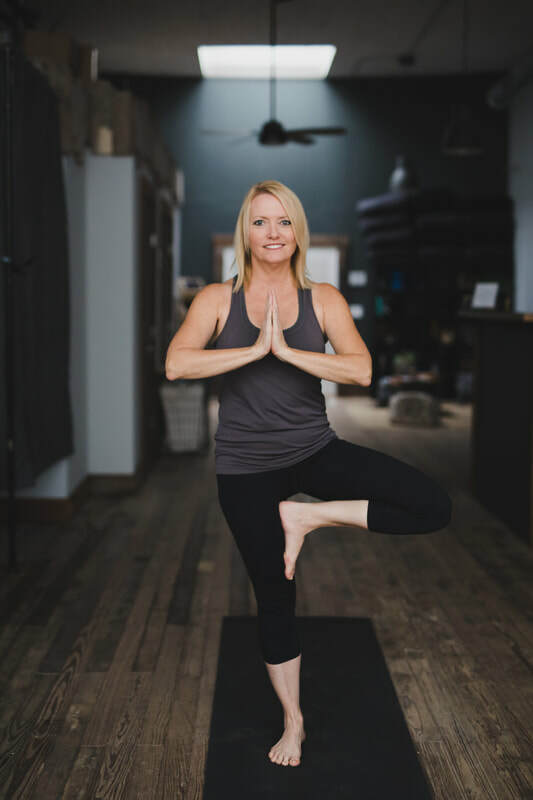 Kristina found yoga years ago when she began practicing with an instructional video; she soon made a transition to taking classes in-person and through encouragement from her wonderful instructor, made the decision to attend teacher training. Through her years of practice, Kristina has learned the value of encouragement and support; she creates safe space in her classes to ensure all her students feel this same support where they can learn their limits, embrace who they are, and strive to better their practice and themselves.